Blood in the Forest: The End of the Second World War in the Courland Pocket. Vince Hunt. Solihull, UK: Helion & Company, 2017. From October 1944 to May 1945, the Soviet Union’s Red Army and the German armed forces fought six major battles in the small area of Courland (Kurzeme in Latvian) in modern-day Latvia. Commonly known as the Battle of the Courland Pocket, two Soviet fronts attempted to destroy the German Army Group Courland and seize the vital port of Liepāja on the Baltic coast. The local Latvian population was caught in the middle of the fighting, and suffered horrifically. Even the end of the Cold War did not bring an end to the divisiveness of this period that was otherwise a footnote in the history of the war. Vincent Hunt’s Blood in the Forest: The End of the Second World War in the Courland Pocket recounts the struggles of the participants through those cataclysmic days and their aftermath, which echo into the present. The author is no stranger to conflict, having covered the Troubles in Northern Ireland and the Rwandan genocide as a reporter for the BBC, in addition to writing Fire and Ice: The Nazis’ Scorched Earth Campaign in Norway. Hunt challenges his readers with moral and ethical questions about the nature of armed conflict, the role of civilians in combat, and the nature of occupation. While not intending to serve as a parable for modern events, Blood in the Forest raised many parallels between 1945 and 2018. Blood in the Forest is “a book of social memory, an oral history” of the end of the war and its aftermath. Hunt uses his travels and encounters throughout Courland to frame the history of the battles in an easy, journalistic tone. His prose wanders across time and place, from village to village, forest to forest, horror to horror. Its twenty-five vignettes are short, most averaging about ten pages, covering different areas, different stories, and different perspectives within the small pocket. Hunt shares the reminiscences of former combatants—mostly members of the Waffen-SS Latvian Legion—refugees, museum curators, and modern explosive-ordnance disposal technicians, each bringing a different perspective to the narrative of the war’s end and aftermath. Courland is aptly described by Hunt as “located on an ever-shifting crossroads of history [which] comes with a high price.” In 1944, Latvia did not have a long history of independence from either Germany or Russia. From 1795 to 1917, Latvia was part of Tsarist Russia. Following the collapse of that Empire, German forces occupied the region. Simultaneously, pro-Soviet forces remained in Latvia, vying for control. The German and Russian forces battled each other and pro-independence Latvian forces in the war of independence, and were only removed in 1920. Thus, an independent Latvian nation had only existed for two decades when the Soviets occupied Latvia in 1940 as agreed in the terms of the Molotov-Ribbentrop Pact. A year later, German forces evicted the Soviets in the early days of Operation Barbarossa. For the next three years, German occupation extracted a heavy toll on Latvia’s population, especially its Jews. The return of the Red Army in 1944, however, did not bring happier days to Latvia. Bloody fighting, terrible destruction, and forced conscription all left further marks on the nation. The ensuing months saw hundreds of thousands killed, wounded, go missing, or turned into refugees. Latvians fought Latvians in the forests of the Courland, pitting brother against brother. Latvian soldiers either deserted from the Germans to the Soviets or from the Soviets to the Germans in those long months. They went home to see family members or to collect food and clothing. Soviet loudspeakers played Latvian folk songs and entreaties from “sisters and fiancées pleading for men to come home. Just like the Greek story about Odysseus.” It was as much a local war as it was a global conflict. Then, after months of high-intensity combat, peace came on 10 May 1945. While the Germans laid down their arms, however, the war did not end for either the Germans or the Latvians. For many Germans, Soviet captivity meant death years after the war ended in a far-flung network of prisoner-of-war and work camps. For the majority of Latvians, Soviet victory meant repression, deportations, executions, and forced collectivization. For approximately 14,000 Latvians, the end of the war meant fleeing to the forests to fight on against the Soviets as partisans, slowly being hunted down by the People’s Commissariat for Internal Affairs, the dreaded NKVD. For the rest, Latvia once again lost its independence. For contemporary strategists, tacticians, and politicians, the end of the war in the Courland holds a series of illuminating parallels to modern conflicts. First, we must look at how modern wars end and what transpires in their aftermath. Since World War II, few American wars have had the clean ending of a treaty or absolute capitulation as in 1945. The Korean War ended in an armistice and uneasy peace that continues to occupy our foreign policy. Our engagement in Vietnam largely ended with the Paris Peace Accords in 1973, but fighting continued until the fall of South Vietnam in 1975. In this century, the fall of the Taliban and the toppling of Saddam Hussein have been followed by years of lengthy counterinsurgency operations that continue in some form to this day. One of the most applicable questions Hunt raises involves the fate of enemy combatants. The Soviet authorities treated Latvians who fought for the Germans harshly. They were filtered into prison camps and the gulag system, often dying in captivity. Upon their return, finding meaningful employment was difficult for many of the former Latvian Legion members and their families. Similarly, we and our allies wrestle today with the fate of enemy combatants. Questions about our conduct, and that of our allies, must be asked. How should Western governments deal with captured Islamic State fighters in Iraq and Syria? How should the Iraqi government? How are communities rebuilt after divisive internal conflict or national legitimacy reestablished? Iraq wrestles with many of these issues now. Captured fighters from the Islamic State and those suspected of supporting it face criminal prosecution in the Iraqi justice system. The process, as Human Rights Watch notes, is hampered by “an absence of a national strategy for ISIS prosecutions that will ensure the fulsome and credible prosecution of those responsible for the most serious crimes committed by ISIS, with the meaningful participation of victims and the creation of a thorough judicial record of these crimes.” The Iraqi trials are far-reaching, sweeping up fighters, suspected supporters, and family members. They were recently described as a “judicial assembly line” by the New York Times. They are governed as much by rule of law or the semblance of due process as by a need “to be loyal to the blood of the victims and to be loyal to the Iraqi people,” in the words of Gen. Yahya Rasool, spokesman for the Iraqi joint operations command. Problems within the Iraqi legal system abound, furthering the inability to bring about an organized legal response to the end of the war. Furthermore, a lack of clear Western policies regarding foreign fighters hampers these efforts. Similarly, Soviet retributions at the end of the Second World War swept up thousands of Latvians. Some were killed outright without trial for supporting or being suspected of supporting the Germans. Thousands of others were deported to the gulag. Upon their return, many faced discrimination and further punishments from the Soviet state, impeding the potential for reconciliation for Latvians. But forgetting is something that cannot happen and is not happening, either in America or in Latvia. Annually, Latvia celebrates Latvian Legion Day (Leģionāru piemiņas diena) on March 16th. The day marks the joining of two Latvian Waffen-SS divisions on 16 March 1944 during a battle against the Red Army. In Riga, some Latvians turn out to march to the Freedom Monument, honoring the Legion and equating their actions with freedom from Soviet oppression. It is a complex and fraught political event that has drawn international attention since the 1990s. Hunt interviewed Vaira Vīķe-Freiberga, the President of Latvia from 1999-2007, herself a Courland refugee as a child. She recognizes the difficulty in commemorating the past in Latvia. To her, Russian President Vladimir Putin uses Latvian “ardour in battle as a sign that Latvians were sympathisers of Hitler and born fascists…Had they known that sixty or seventy years later their courage would be misinterpreted and used as nasty propaganda against their country I don’t know what they would have done.” President Vīķe-Freiberga rightly notes the political and moral sensitivities surrounding the Latvian Legion continue to impact Latvia’s national dialogue. Many of the stories Hunt tells are emotionally powerful. Some are ethically ambiguous, forcing the the reader to confront uncomfortable events, times, and circumstances. Those scenarios are perhaps the most haunting in the work. Unquestionably, some decisions and events are beyond the pale: the mass executions of Latvia’s Jews or the Soviet murder of political opponents, for example. But Hunt challenges the reader to take into account moral luck, circumstance, and the necessities of survival when it comes to questions about the Latvian Legion of the Waffen-SS, or the post-war Forest Brothers who battled against the Soviet Union into the 1950s. The book is not without fault. Most notably, there is an lack of balance between Soviet and German participants, which skews some of the narratives. Hunt was unable to interview Latvians who fought for the Red Army. As he states, the war is “a deep national trauma...now [that] the Red Army veterans are not considered the heroes any more [sic]...they don’t want to put their heads above the parapet.” Their lack of voice, unfortunately, makes this an incomplete narrative of the events in Courland. While Soviet-era literature, like Voyenno-Istoricheskiy Zhurnal (Military Historical Journal), has a definitive narrative slant, accessing these resources to provide voice to the Red Army’s Latvians would have enhanced the narrative. Recent sources, such as Pamyat Naroda (The Memory of the People), could also have been used to widen understanding of the Red Army’s perspective. In Requiem for a Nun, William Faulkner wrote, “The past is never dead. It's not even past.” Certainly, in Latvia and in the Courland Pocket, that continues to ring true. Blood in the Forest offers a human view from one corner of the Baltic of the end of the seminal conflict of the 20th Century. 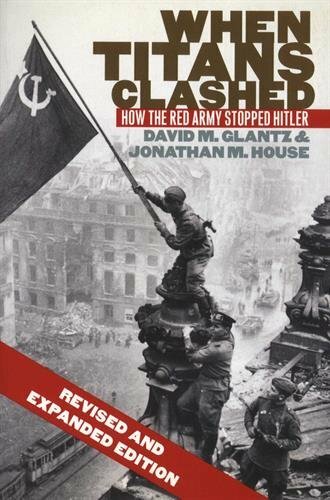 It is not an academic history of conflict like Prit Buttar’s Between the Giants: The Battle for the Baltics in World War II nor is it a comprehensive as works like David Glantz and Jonathan House’s When Titans Clashed: How the Red Army Stopped Hitler. Hunt has written a book that challenges the modern strategist to process how we end our wars and how we deal with their excesses. Furthermore, Hunt challenges how we, as a whole society, commemorate these wars and their participants through the morally complicated saga of the Latvian Legion. The book’s moral weight is palpable as we attempt to answer some of those questions in the modern era. Timothy Heck is a reserve Marine Corps officer. The views expressed are the author's and do not reflect the official position of the U.S. Marine Corps, the Department of Defense, or the U.S. Government. I use Courland during this piece as most Western historiography refers to it as such. Hunt, Vincent. 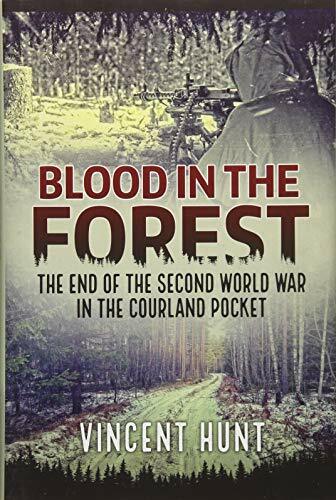 Blood in the Forest: The End of the Second World War in the Courland Pocket. Solihull, UK: Helion & Company, 2017. x. For more on Latvian history, see Andrejs Plakans The Latvians: A Short History. Stanford, CA: Hoover Institute Press, 1995. Human Rights Watch. Flawed Justice: Accountability for the ISIS Crimes in Iraq. 5 December 2017. Available online. Margaret Coker and Falih Hassan. “A 10-Minute Trial, a Death Sentence: Iraqi Justice for ISIS Suspects.” New York Times. 17 April 2018. A10. Available online. For more on some of the Western dilemmas with returning foreign fighters, see Anant Mishra ‘Intelligence Sharing and Returning Foreign Fighters: Are European Systems Up to the Challenge?’ (Strategy Bridge). See Jesse James Deconto and Alan Blinder, “‘Silent Sam’ Confederate Statue Is Toppled at University of North Carolina.” New York Times, 21 August 2018. Available online. For more on the back story, see Bjarke W. Bøtcher “The debate on the Latvian SS Volunteer Legion” in Baltic Defense Review, No. 3, Vol. 2000, pp. 103-114. Available online. The Ministry of Foreign Affairs of the Russian Federation. “Comment by Information and Press Department in connection with another march of the Waffen-SS legionnaires in Riga on March 16, 2018” Available online. European Commission Against Racism and Intolerance. ECRI Report on Latvia (fourth monitoring cycle). Council of Europe. 9 December 2011. Available online. Simon Wiesenthal Center. “Wiesenthal Center Protests March of Latvian SS Veterans.” 16 March 2015. Available online. Cnaan Liphshiz. “After Nazi SS veterans hold annual march in Latvia, one woman fights back.” The Times of Israel. 19 April 2018. Available online. Email from Vince Hunt to author, 12 August 2018. Translated issues of Military Historical Journal are available from the Defense Technical Information Center. Faulkner, William. Requiem for a Nun. Act I, Scene 3. Older PostIsrael's Nuclear Ambiguity: Would a Shift to Selective Nuclear Disclosure Enhance Strategic Deterrence?